In preparation for this month’s Ignited by Truth Conference, staff and supporters were invited to follow Fr. Michael Gaitley’s Do-It-Yourself Retreat in his book 33 Day to Morning Glory. I am going to be completely honest, I was not intending to take part. I had done St. Louis de Montfort’s Marian consecration before. I didn’t think I was being called to pray in this particular way at the moment. My family was already praying through another novena. You get the point, I had ample excuses. Life got messy as it often does. And as I was treading water in the swirl of chaos and worry my fellow IBT teammate sent me a text to ask if I could write something encouraging about the consecration for social media. The others on the team were unable to reach their laptops that weekend; it came down to me (at least that’s what it felt like.) I was still reluctant, but I dug through my book piles and found my copy of 33 Days to Morning Glory (which I bought years ago and never read beyond page 36). Once I opened the book and read the dedication I understood that Mary herself was inviting me to reconnect. In 33 Days to Morning Glory, Fr. Gaitley lays out a simple, easy-to-read preparation for Marian consecration. 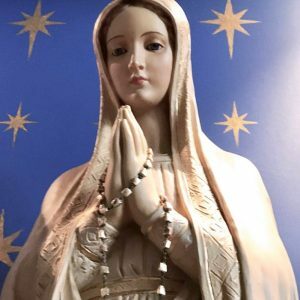 Like his predecessor St. Louis de Montfort taught, he explains that the Blessed Mother is the surest way to holiness. If you’ve ever done the beautiful de Montfort consecration, you’ll know that it is rich with litanies and old language and thus can be difficult to work through. However, Fr. Gaitley’s book utilizes the stories and words of four great Marian devotees (St. de Montfort, St. Kolbe, St. Mother Teresa and St. John Paul II) to help readers understand why it is vital to consecrate their lives to Jesus through Mary. 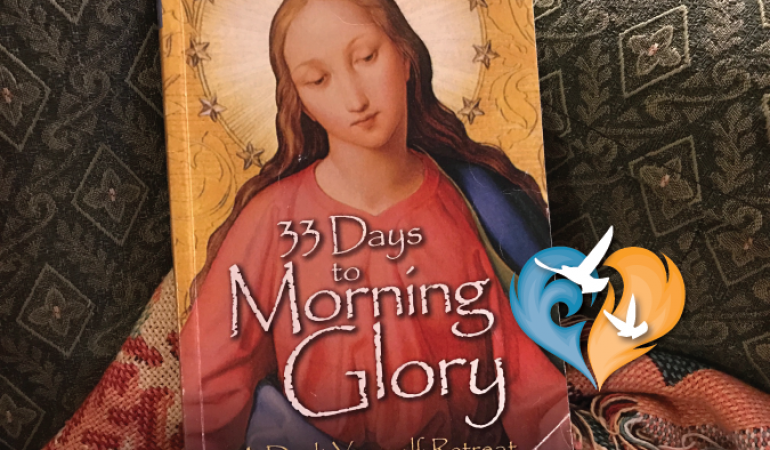 Since I was already feeling swamped with duties, predicaments, and worries, I was glad to discover the 33 Days to Morning Glory preparation was broken into bite-sized, easy to digest daily readings. There was no flipping through pages to find additional prayers or yawning through complicated prescriptions. I accepted the task with a little less panic. By Day 16 I was feeling downright confident. A few days after that, during adoration, I reread the Day 16 mediation which focused on Mother Teresa’s explanation of Christ’s words to her (I Thirst). Typically, I devote a portion of my holy hour to praying for others and another portion to chatting with Jesus. On this day I wanted to satisfy His Thirst, so I decided to focus on listening for the majority of the hour. And listen I did…to the rustle of my son’s coat against his shoe, to the grunts of my youngest as his twisted around the kneeler, to the street noise outside, to the grumbles in my head, etc. Every sound, movement and thought was amplified ten-fold. I left feeling mildly defeated. How, I thought, can Jesus speak in the depth of my heart if I’m always in some state of busyness (in mind or body). But then I remembered that Mother Teresa said, “only open your heart to be loved by Him as you are. He will do the rest.” And to open my heart I need Our Lady. Working through Fr. Gaitley’s preparation, I realized that while my listening skills are still imperfect (in addition to my other myriad imperfections), I’m not alone. I don’t have to rely solely on my own wit in my journey to Christ. By giving myself fully to Mary, she intercedes for me and unites me more fully and more perfectly to her Son, Jesus. Though I’d already consecrated myself to Mary in the past, it was obvious that a renewal was in order for me. I believe that Our Lady set the timing and Fr. Gaitley’s book was meant to help me understand that which I had either forgotten or wasn’t completely clear on the first time around. Ignited By Truth Catholic Conference is so important because, like Fr. Gaitley’s book, it aids us in our understanding of the faith and enables us to live it boldly. The diverse speaker panels remind attendees that Jesus calls each one of us, wherever He finds us. We don’t have to be anywhere near perfect for Him to love us. From abortion industry workers and runway models to frazzled moms, weary dads and searching teens, IBT connects us all to the One Who loves us perfectly. 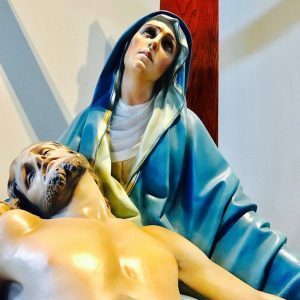 I thought my previous consecration to Jesus through Mary had been enough until I read Fr. Gaitley’s book. His book helped me to understand my connection to Mary with more clarity; it renewed my fervor to live out my consecration with greater purpose. So too each conference has something new to offer the audience, some deeper insight, some new inspiration. 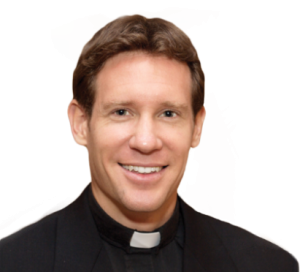 The full conference this month features Fr. Michael Gaitley, Abby Johnson, Leah Darrow and more great speakers. They promise to inspire, educate and ignite you. Are you being called, like I was, to put aside some time and listen?